The electric skateboard is such a useful and simple invention. After all, it’s just a skateboard with a battery, motor, and a remote control. If you’re interested, you can buy one already made or even build one yourself. This nifty invention allows you to travel as fast as traffic, brake gently down hills, and speed up when you need to. There’s no end to its usefulness, and there’s really no reason not to buy one. You’ll find that are many resources online that will help you choose the right one – there are guides on what to look for, or you could consult a motorized longboard list to compare popular boards. But if you still need convincing, here are all the reasons you need an electric skateboard in your life. If you’re already an expert at all things skateboarding, you’ll find that an electric skateboard is a new challenge. You’ll quickly find that you no longer have to waste your time and energy walking up hills. With the remote control that comes with this invention, you’re able to easily zip up those hills with a press of a button. Electric skateboards are also a great way for new skaters to get comfortable. 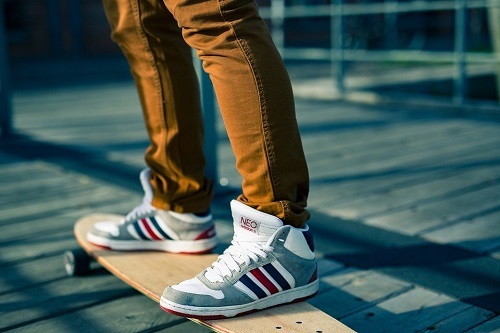 They’re the perfect introduction into the world of skateboarding. The handheld remote that comes with the majority of models allow you to navigate through the streets at your own pace until you get the hang of it. As you get more comfortable, you can adjust your settings so you can attempt more advanced maneuvers, like carving and hill bombing. While cars are an efficient way to travel to work or class, buying a vehicle can be expensive. Alternatively, buying a skateboard to get everywhere can be tedious and exhausting. Electric skateboards are a nice compromise between the two. They move faster than traditional skateboards but are way more affordable than a car. Plus, electric skateboards are a relaxing way to travel. You get to feel the wind blowing through your hair as you cruise through toward your destination. If your board is equipped with off-road wheels, then you can travel through paths that have more uneven ground that you wouldn’t even think of doing on a skateboard without a motor. The biggest reason you should get an electric skateboard is that it’s a great source of entertainment. More and more people are flocking to and investing in electric skateboards. They’re fun to ride, to maintain, and to choose from. It’s an evolution in skateboarding that you don’t want to miss. Buying an electric skateboard can be tricky. You don’t want to just buy the first board you see. You want to inquire into some of the qualities before committing to one. The first thing you want to ensure is that it can perform the way you want. Performance is determined by a few things, including model and brand. When buying an electric skateboard, look for one that has high-quality wheels and compare the bearing of ones you’re interested in. When these are poor quality, you’ll definitely be able to tell when riding. The battery might be the most expensive part of your electric skateboard. Oftentimes, companies look to cut costs at the expense of good quality batteries. Investigate the batteries lifespan and the build. The last thing you want is your battery to run out of juice or fall out when you’re traveling long distances. The weight is a feature that a lot of people forget about. However, it’s an extremely important aspect that can determine how much you get out of your board. If your skateboard is heavy, it’s more likely to put more strain on the engine and battery. Plus, it can be unpleasant to drag around a heavy board when you do need to carry it. Whether you choose to buy your electric skateboard online or in-person, you want to be diligent in ensuring you’re buying something you’re going to love. When you choose the right electric skateboard, there’s no doubt that you’ll have the time of your life riding it. This entry was posted in Land Sports, Skateboarding and tagged Electric Skateboard, Skateboarding. Bookmark the permalink.